Mathematics and race - two topics that probably seem unrelated on the surface, yet they are related in ways that often go unnoticed. Rhetoric regarding the achievement gap and underperforming Black students ultimately lead some to believe that Black children are, by virtue of being Black, inherently intellectually inferior. 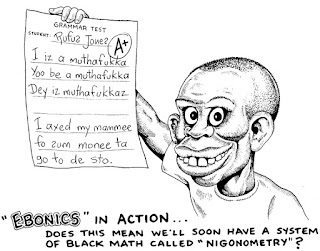 A few years ago, I started to notice articles and images in popular media spreading the absolutely false notion that Black people cannot achieve success in mathematics. I started keeping track of these images and articles, and I plan to use them in a course that I teach where we discuss contemporary issues in mathematics and science education. I hope that these pieces of media will serve as starting points for discussion, reflection, and, ultimately, change in mathematics classrooms. Below are a few of them. Yeah, we could boo each other, but this issue is FAR more complex. When I arrived at graduate school, I thought that I was going to research ways to "close the gap" between Black students and their White and Asian counterparts. While eliminating existing test disparities is important, I now understand issues of race and academic achievement in new, complex ways - ways, that you'll hear about on this blog. I will forever be grateful for the opportunities to read the works of new and seasoned scholars like Asa Hilliard, Claude Steele, Prudence Carter, Christopher Emdin, Erica Walker, and Danny Martin. Through reading and studying scholars such as these, I've learned that it is not enough to push teachers and students to work hard to pass standardized exams. Earning passing scores on these assessments does not equate to attaining academic excellence. These tests are floors, not ceilings. In an effort to create more sustained solutions to remedying the miseducation of Black children, we as stakeholders have to examine our underlying assumptions about Black students and their ability to do math. Furthermore, we have to look and the systems in place that continue to produce students who are not successful in mathematics or any subject area for that matter. During this month (and other months, of course) I'd like to use my voice to highlight Black excellence in mathematics (and science, too!). 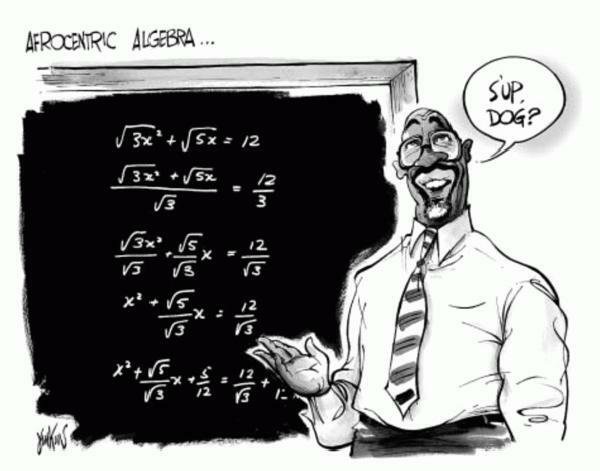 Black people have always had a place in the history of mathematics. From Africa to the present, and we are continuing making our mark! I love mathematics. I don't claim to be the best at it, nor do I claim to be a math wiz, but the challenge of it keeps me interested and engaged and keeps me signing up for courses on coursera.com that I really don't have the time to take. 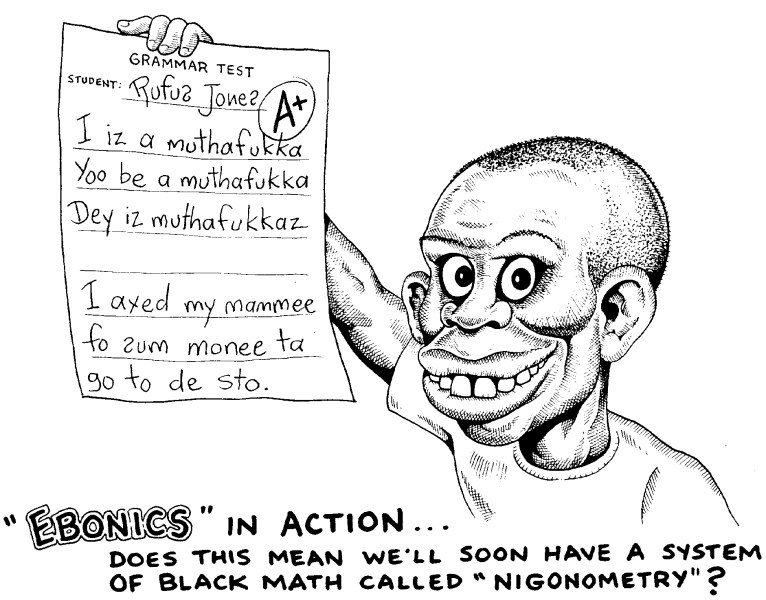 Loving mathematics and being Black have never been in opposition to each other in my mind. I, like many of my friends, have had lots of success in mathematics and have grown to love the content. My love for the subject deepened as I attended Florida A&M University. Our professors made sure that we never saw being excellent in mathematics and being Black as mutually exclusive. There's just something that is powerful in the air when everyone in your Differential Equations class looks just like you. I hope that in my years of teaching high school math, I passed a little bit of this love and pride along to my students. So I will use this space and my voice to highlight Black women and men who have made impressive strides in STEM (science, technology, engineering, and mathematics) fields. I'm even going to highlight some of my favorite Black folks that make mathematics history every day - in classrooms, at universities, and in professional fields. I mean, Quintessa was important, but I've gotta let some other folks have some shine. Until next time...Do the math and go make history!